A2Z Pays Cash For Cars Removal Auckland Wide UpTo $5999 Call Us Now! Want to sell your car for cash as much as up to $5999? Want to get a quick and hassle free service? Then you are at the right place, We at A2Z Car Removal Auckland will offer you top cash for cars any make or model & condition. We come to you and Buy Your Car instantly with free collection. If you have an old, damaged, used or unwanted car that want to get rid of it for cash then give us a call now, A2z Car Removal is Auckland’s best car wrecker offering a wide range used auto parts. We’ll buy it today: 0800 114 320 or submit online inquiry form. We buy any type of cars for cash up to $5999 with FREE car collection from any region across Auckland. 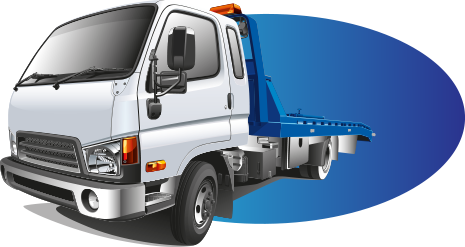 A2Z Car Removal is here to buy your unwanted old car, truck, van, SUV for highest cash rate. Sell any make and condition of a car for cash, and get a free removal. When you have a car of any make and condition, A to Z Car Removal is the removal company in Auckland, NZ that will buy your car of any make and condition for top dollars. When it comes to cars, we are the experts in the industry that can maximize the value of your car. We are a team of top-notch appraisers, re sellers, car wreckers, & recyclers that can take any condition of a car of any make and get the most value to put into your hands. With us, selling your car is as easy as your A, B, C ’s as it only takes a call to get a quick cash quote. 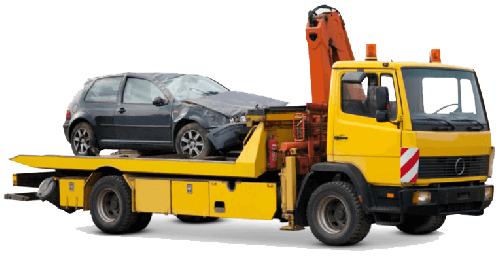 HOW CAN A2Z CAR REMOVAL HELP YOU? Have your damaged car removed and get cash for damaged car payment on the spot. Get an upfront payment for us wrecking your car for free. We offer old car removals anywhere in Auckland. Get top dollars for your truck with A to Z Car Removals. With A to Z Car Removals, you can expect up to $9,999 cash for your car. We pay top cash for cars of every make and condition. We will help turn that old run about into hard cash – top dollar, every time. Whether you need more space in your garage or need fast cash hassle free. Call us now to see how we can help you, We’ll pay top cash for your car in Auckland regions. Car buyer experts are here to buy your car for cash instantly, Getting your car sold with A to Z Car Removals is as easy as saying your A, B, C’s. “A2Z Car Removal” is Auckland’s No.1 car buyer that make the hassle of selling a car quick and convenient and put instant cash in the hands of our customers. We offer highest cash for cars across Auckland Regions with same day free collection. Wherever you are in Auckland, you don’t have to be concerned with a towing fee to have your car removed. That is when you have A to Z Car Removals as your removal company. We are the removal company that services Auckland car owners with free removals when they sell their cars to us. We get to the locations of our customers quickly, putting good cash in their hands for their unwanted cars for sale. We Come to you & Buy your car across any region in Auckland including: Albany, Avondale, Manukau, New Lynn, North Shore, Northland, Onehunga, Papakura, Penrose, Pukekohe, South Auckland, Takanini, Waitakere, Waikato, West Auckland and much more! A to Z Car Removals is a top-notch car removal company that pays top dollars for cars of all makes and conditions. We are reputable and reliable car buyer based in Auckland that will offer you hassle free service. Car owners give one of our appraisers a call at 0800 114 320 or fill out our online quote form with the make, model, year and condition of the car. By providing the accurate information on cars, our appraisers will provide a cash quote. Schedule a free car removal anywhere in Auckland. When we are your buyer, you get a great cash deal and services that are second to none. For more information on our services, or to get a quick cash quote, contact us at the number below. We are your car buyer that is ready to offer you up to $5999 cash.